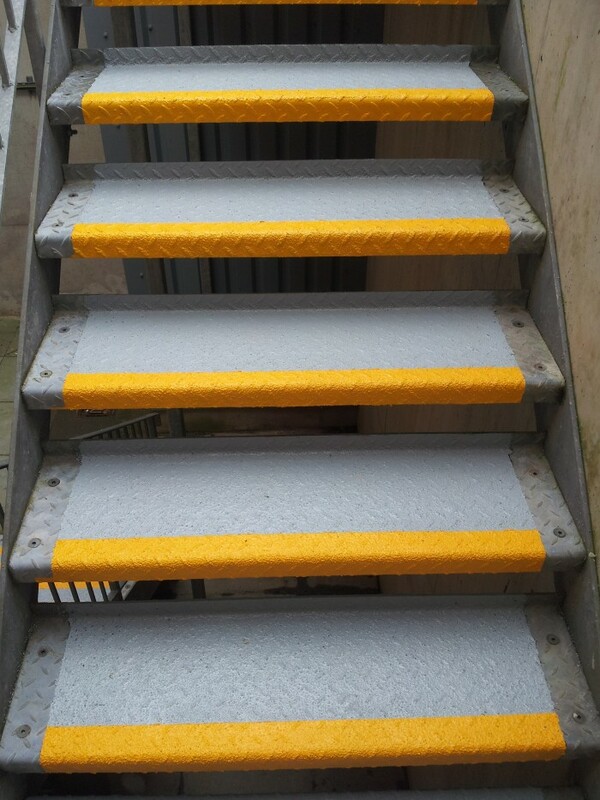 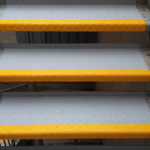 "Slip Prevention For Any Surface In All Environments"
A large leisure centre in the Midlands were having problems with slippery metal steps on an external metal chequer plate staircase to the rear of the centre. 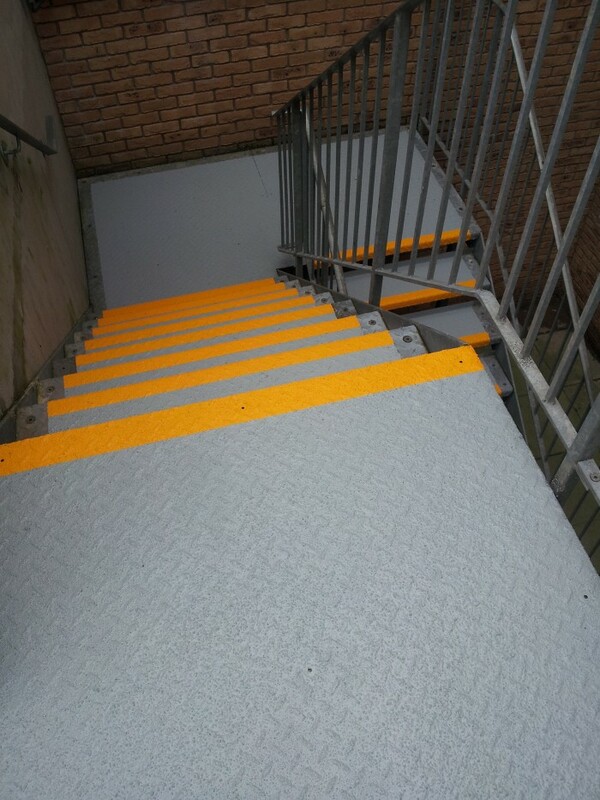 Staff using this staircase were finding that in wet weather conditions the steps were extremely dangerous. 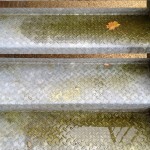 In addition moss and lichen growth to the surface of the steps was increasing the risk of slip accidents. 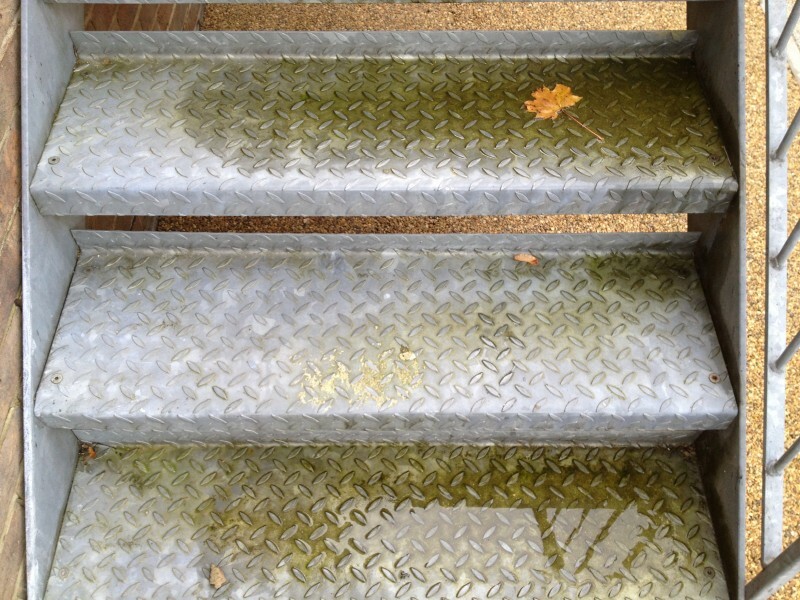 Each step was first thoroughly rotary cleaned to remove all surface contamination rust and lichen. 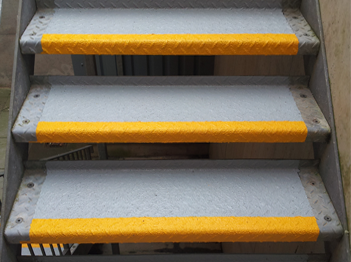 The surface of the chequer plate was then thoroughly rotary abraded before the application of a galvanising primer. 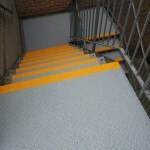 A liquid high build anti-slip resin was then applied to all steps and walkways by roller. 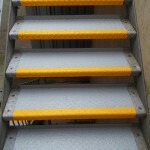 The step nosings were highlighted in a safety yellow colour. 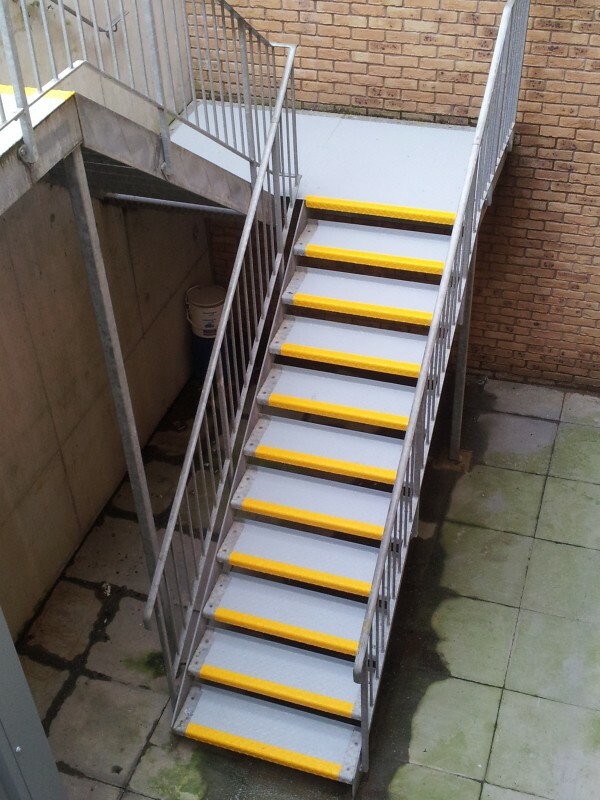 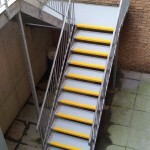 Work to the slippery metal steps was undertaken with minimal disruption or downtime and the safety and slip resistance of the steps has been dramatically improved.